mynetworks offers a broad range of equipment rental services, capable of meeting the needs of corporate clients of any scale and scope in the key cities of Brazil. We work with state-of-the-art equipment and the best brands, combined with a customized design and tailored to the needs of your company, as mynetworks guarantees the performance of all necessary services to assure the availability of all equipment, controlled by an agile and competent technical team. Our accumulated experience has leveraged us to noteworthy ranking in this market. Certified professionals and the latest generation of equipment enable the surpassing of our quality targets starting in our first visit to the final delivery of concluded services. 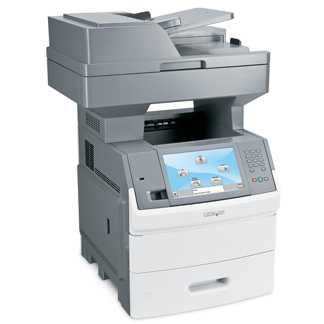 The equipment is supplied at the exact speed to meet the needs of your business. In cases of emergency demand, rental is the most appropriate solution, especially because you are freed from this problem and can count on the guarantee only mynetworks can offer. 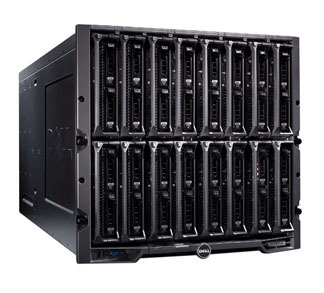 Companies growing at an accelerated rate find it difficult to manage their IT assets. For them, IT rental is converted into a strategy for overcoming this challenge, since everything in rental is included as a value-added service. Equipment rental is accounted for as OPEX (operational expense) and not as CAPEX (capital expenditure) enabling a total abatement when calculating Income Tax for companies operating in the “Real Profit” tax regime. It is much easily to contract a rental service than purchase assets. The risk is lower and the liability is less, the related amount is lower too, and the bureaucracy is too. Not to mention the flexibility of adjusting the contract to new needs. Any electronic equipment is subject to eventual breakdowns. In this situation, the rental company will substitute the equipment and thereby minimize the idle time of the employee, and do away with service support and repair costs. You benefit from renting equipment, as there is no maintenance, because there are no repair visits, keeping spare parts on hand, and support services. In rental, maintenance and technical support services are included in the guarantee during the entire validity period of the contract. The fact is equipment technology will become obsolete in a short period of time when purchasing your own computer or any other IT equipment, thus making companies less competitive. There is always the risk of delaying some work, when operating your own obsolete equipment, as well as losing overall productivity in the company. So, use the best, fastest, and latest launches in the computer market, by renting the models from mynetworks, which are always readily available to its clients. It is difficult to evaluate the actual cost in purchasing equipment. There have been a great number of studies on this subject, but they are difficult to apply, as they consider all the hidden costs involved in purchasing computers. The acronym for these costs is TCO (Total Cost of Ownership). Besides the purchasing costs, we can also cite: the downtime waiting for PC maintenance, spare part purchases, and contracting the technical support service company, managing the maintenance contract, formatting a hard disc before disposal, protecting corporate information and cost (or impossibility) in selling outdated assets, as these are only some of the problems generating high costs in managing the your own equipment setup. In renting, the rental invoice is the only element to be accounted for. The equipment rental recourse frees capital in the company for other investments. Buying equipment requires the need for allocating that capital as fixed assets. However, in the case of rental, there is no need to make a big initial capital investment, so the company can utilize this money more advantageously for its own business needs. As the equipment is not classified as a liability on the Balance Sheet, companies choosing to rent rather than purchasing are granted greater facilities for loans and with a greater asset/liability relationship. How much advance notice is necessary for requesting equipment for my utilization? The rental process must begin with the maximum advance notice as possible, so that there is enough available time for analyzing your storage availability, delivery logistics, assembly, and equipment tryout. Although, we keep a large variety of equipment on hand, it is necessary to consider such factors as, for example, the amount of equipment being rented. The deadline date is specific for each supply shipment and it is detailed on the respective commercial invoice sent to the client. Is all equipment immediately available? Although, we keep a large variety of equipment stock on hand, it is necessary to consider such factors as, the amount of equipment being rented and the means for beginning the purchasing process, whenever necessary. What is my guarantee the rented equipment will arrive on schedule? mynetworks is specialized in equipment rental and guarantees the contracted services. Besides that, we have a vast portfolio of satisfied clients as references. What are the regions and areas of actuation of mynetworks? We are extremely interested in serving you. Inform the delivery locations and the desired service requests, so we can analyze the logistic feasibility for delivery and pick-up. Are the delivery and pick-up included in the contract? Yes, they are included. However, the delivery and pick-up locations impact and modify the equipment rental price, as they must be informed in advance in order to prepare the proposal and be specified on the contract signed by the parties. As soon as the commercial proposal is considered, they are included in the price and they will be carried out on the agreed date. And what if the equipment displays any defect while being rented? Are the maintenance and support included in the contract? Yes, this is one of the big advantages of equipment rental. All the costs for maintenance and technical support services from any natural defect are included in the contract during the entire rental period. Just open a service ticket to begin the maintenance process on the equipment. And what if it is impossible to perform maintenance on the equipment? We guarantee immediate replacement of any defective equipment during the entire rental period. And if the problem was caused by the user? This maintenance will also be performed, but a proposal will be submitted including all the maintenance costs. How do I open a maintenance ticket? If you are one of the authorized contacts by your company for opening tickets, just call our service support call center at (11) 3254-7411 or send an e-mail to suporte@mynetworks.com.br. Have the contract number, equipment serial number, specified defect, and complete data on the service support location, and the contact person in the location easily available. Can I perform maintenance on the equipment? No, all maintenance must be performed by the professional service staff of mynetworks, using compatible spare parts and after opening a service ticket at our service support center. Is the equipment updated as time goes on? Yes, this is another advantage from equipment rental. You will always operate the most up-to-date equipment and adapted to your utilization. Just, inform the desired time interval for updating/upgrading equipment when placing the order, so we can consider that for the commercial proposal. This information must be defined on the contract. And what about if the seal is open? The seal must never be opened without the presence of the mynetworks technician. If you need to install any hardware in the rented equipment, just open a service ticket at our service support center. Can I transfer the equipment to another location than what is stated on the contract? In order to transfer the equipment to another location, you must inform our commercial sector for validating the contracted price, due to a difference in distance for maintenance, support, and picking up the equipment. Is assembly included in the rental price? You must inform all the assembly conditions, such as location, layout, and installation at the time the proposal is prepared, so our technicians can evaluate the conditions and consider such costs in the rental price. How do I check the materials at delivery time? This is a very important subject to consider and it requires great care. At delivery time, the material must be checked and comply with the order and invoice that is always delivered with the equipment. After signing the invoice stub, we consider the materials as delivered and the responsibility is transferred to the client. Any nonconformity and/or question must be clarified at that time; thus get in immediate contact with the commercial representative who placed the order. How are the materials checked at pick-up time? The equipment must be checked before returning/picking it up and so it needs to be hooked up. If you prefer to check in your company, set an appointment in advance with the commercial representative who placed the order and provide the necessary infrastructure, as space, bench, electrical outlets, etc. If you prefer the final checking to be performed in our lab, in case of defects, we will submit a report on problems and include the estimate for correcting the problem/s. Any questions regarding this procedure; then get in touch with the commercial representative who placed the order. What are the required documents for equipment rental? Inform at least the company commercial data, the commercial proposal prepared with the conditions as submitted by the client, the supply contract, the invoice for the equipment batch, and the payment stub from the respective payment billet. Do I need to issue a return Invoice? Yes, the issuance of a return invoice is mandatory for returning the equipment. If your company is exempt from state tax registration, it must issue a standardized document authorizing the return of the equipment. And what if that document is not ready at pick-up time? Without the invoice or official return document, we cannot perform the pickup, and then it needs to be rescheduled at our service center. The rental costs will only cease after the effective equipment pick-up is performed. No. the equipment must be insured by the client, through a contracted insurance policy from the insurance broker of the client’s choice. What do I need to do in case of theft/robbery claims? Get in touch with your insurance broker. Fill out a police report at the police station in your district and inform our commercial sector so it can prepare the cost for replacing the equipment. Can I purchase the equipment after the end of the contract validity period? Yes, it is possible, but just for rental contracts over 24 months and such a clause must be stated in the rental contract. Can I extend the rental period after the end of the validity period? Yes, there is no problem in doing that. Just get in touch with us as soon as possible so our commercial sector can renew and update the contractual data. Can I return the equipment before the stipulated period ends? The rental price is calculated based on each period. Try to contract the rental period for the necessary period, as it is easier to extend the period than decrease it. Sometimes, it is not possible to make anticipated returns as to reduce the contracted amounts, due to the aggregated services that have already been performed. Get in touch with our commercial sector for further details. What about if I have not used the equipment? Rental is based on a contracted service and not utilization. As soon as the equipment is delivered, the equipment is at your disposal. Yes, our contract period is at least 12 (twelve) months long. However, the desired period causes a direct impact on the rental costs and in must be informed for preparing the proposal. What models are available for rental? There is a list of the most utilized equipment on our website. Get in touch with our commercial sector for queries on other models and configurations. What equipment is included in the delivery? Each rental process is prepared individually, based on your specific needs, however, the client must inform the detailed configuration, so that we can customize each item. Basically, all equipment is defined in the “equipment description” field and the respective quantities are included and listed on the contract. What items are supplied with the equipment? Some items are accessories and are supplied with the equipment, others must be requested separately. Verify what items are supplied from our commercial sector for each type of equipment. Send a detailed list of what you need so that we can analyze and reply to you in a specially prepared proposal to meet your needs. How are equipment, accessories, and peripherals controlled? 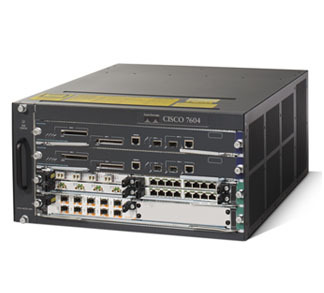 All equipment is labeled, including the serial number and the mynetworks identification. Besides that, we also control the serial number of the manufacturers. And what about if I need an upgrade in equipment during the contractual period? It is possible to upgrade or change to more appropriate equipment. Get in touch with our commercial sector so we can make adjustments to meet your needs. Can all software be rented? No. Only those that accept rental licensing. There are some lines of software companies renting software licenses and others do not. Are the software programs licensed? All software programs supplied by mynetworks are licensed and these abide by the policies of software factories and distributers. What software programs as supplied with the equipment? Any software program is a separate item and must be considered in the rental price and this is clearly specified in the contract. If it is not described in the contract, it was not considered and thereby is not included in the supplied items. Is the operating system supplied with the equipment when I enter the rental contract? Yes, except for the server operating systems. It is important to emphasize any software program is a separate item and must be considered in the rental price and this is clearly specified in the contract. If it is not described in the contract, it was not considered and thereby is not included in the supplied items. Is the Office suite supplied with the rental equipment? Can I install my own software programs? Yes, as long as you have the license you can install any software program you wish. What software factories supply rented software programs? Microsoft supplies a specific line of rented software programs. Get in touch with our commercial sector for future information. 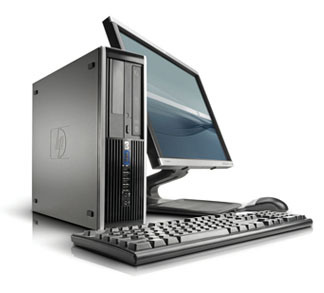 mynetworks offers work stations (desktop computers) customized according to the needs of your company, cutting investment and management costs. Our broad-based solution includes hardware, software, service desk, maintenance, management of assets and inventory. Regarding this context, it is fundamentally important to answer some questions, in order to establish a dependable and adaptable infrastructure. For example: What kind of desktop will serve my needs best? What is the level of availability, capacity, and performance necessary for performing activities? What operating system will be run? Our team of professionals is highly qualified and certified and ready to help your company answer these questions. We work with a broad range of types of equipment, including the best brands and models. Thus, our clients can define the best configuration of equipment to meet their specific needs. 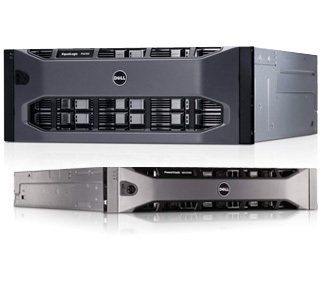 Besides service providing including previous approval and release of equipment and management of software images, we also provide guaranteed assurance from the component brands and quality of the integration processes in mynetworks desktops. mynetworks supplies rental laptops prepared with corporate configurations, based on the needs of your company, guaranteeing the best integrations with your applications. We work with a broad range of equipment, especially configured and tested by our technical team. 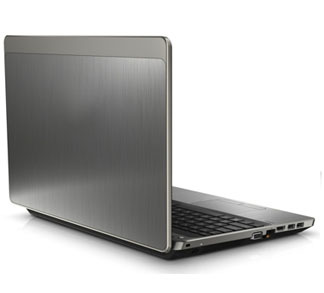 HP, Lenovo, and Dell are some of the brands we work with. 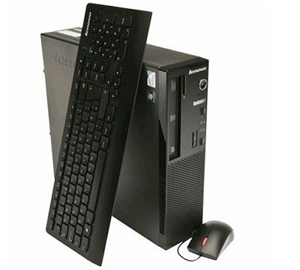 The laptops from mynetworks are recommended for a user who needs portability, reliability, and especially data security. A cutting-edge difference in our laptops is they are equipped free-of-charge with cryptographic software and data backup, guaranteeing secrecy and data recovery in cases of misplacement, robbery and/or burglary of equipment. mynetworks, once again is an innovator in the corporate rental market, as it places a complete line of rented Apple equipment at your disposal, including powerful and up-to-date configurations. 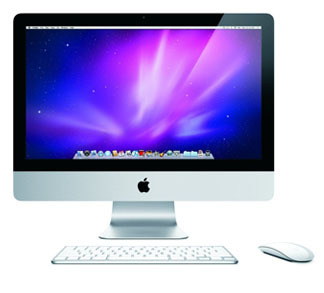 An important cutting edge difference is Apple desktops and laptops are supplied previously setup for dual boot (MacOS and Windows), as well as running the Parallel Desktop software, enabled for running Windows applications, transparently, in a virtual machine in the MacOS platform. Macbooks are also equipped free-of-charge with cryptographic software and data backup, guaranteeing secrecy and data recovery in cases of misplacement, robbery and/or burglary of equipment. 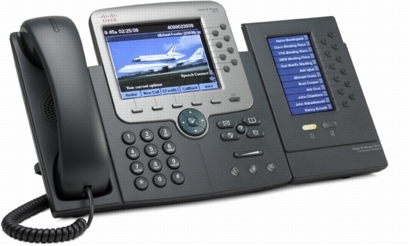 mynetworks works with advanced equipment, diverse sizes and adapted to any need of your company. We are ready to supply you with ink jet, monochromatic and colored laser printers, as well as all-in-one equipment (printer, copier, scanner, and fax) and design (plotters). mynetworks offer up-to-date projection rental equipment for company and educational environments, such as meeting rooms, classrooms/training rooms, and computer labs. 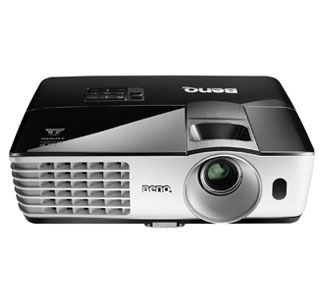 Our projectors aggregate special design and high-tech to your environment, as well as our specialized service from our company. We work with new equipment and diverse configurations to assure tranquility, no unforeseen breakdowns and/or failures. You can also count on all our equipment and accessories to provide the needed support to make your course, event, meeting, and/or training course a success: laptops, projection screens, microphones, loud speakers, interactive digital board, among others.